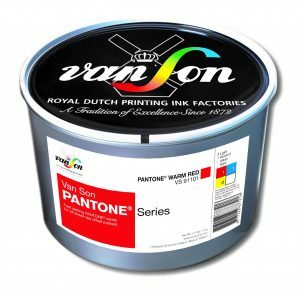 Van Son offers a wide range of sheetfed offset inks, designed to meet your pressroom requirements. Van Son Overprint Varnishes are fully in tune with our comprehensive range of sheetfed offset inks. Available in a wide range of finishes, from very high gloss to matt, Van Son Overprint Varnishes offer superb press stability, fast setting and drying and excellent rub resistance. Universal high gloss overprint varnish. Sonshine provides an exceptionally high degree of abrasion resistance to the printed matter and can be used for both wet-on-wet and wet-on-dry printing. Sonshine has a very low tack, after varnishing the printed matter can be handled quickly. This elastic, high-gloss varnish withstands cutting and creasing. Spot varnishing or using a combination of glossy and matt varnish can create special effects. Provides a non-yellowing silk finish with excellent rub resistance. Fast setting and drying, with a high stability and a low tack level. SonSilk can be used for both wet-on-wet and wet-on-dry printing. Universal satin overprint varnish which can be used as any classic press varnish. SonSeal offers good protection to the printed matter in a quick and economical way. SonSeal can be used for both wet-on-wet and wet-on-dry printing. The Van Son PANTONE Series provide the solution you need to precisely match the designer’s choice from the PANTONE® Colour guides, or even specially formulated corporate or branded colours. Suitable for use on a broad range of substrates, Van Son PANTONE Series also serves up a host of impressive characteristics that include precision dot sharpness and a high gloss that will please the most discriminating eye. 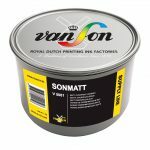 When you choose Van Son PANTONE Series, you get Van Son’s deep and vibrant hues, unequalled trapping capabilities, fast setting and excellent rub resistance. The Van Son PANTONE Series Basic Colours are formulated to work in combination with the wide range of Van Son process colours. 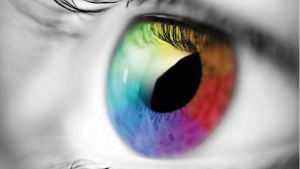 The PANTONE MATCHING SYSTEM® offers a wonderfull spectrum of authentic, vibrant colours perfect for any application. For matching these colours the Van Son PANTONE Series is your choice of ink when you need premium high-performance printing that produces vibrant results. Compatible with ULTIMAX, ROBUSTO, PRIMEBIO as well as all the other process colours from our wide range of sheetfed offset inks. Suitable for all types of mid-to-large size sheetfed offset presses, can be used with and without IPA and IPA substitutes. Works well in combination with infra-red drying units, offering an even faster setting and drying. 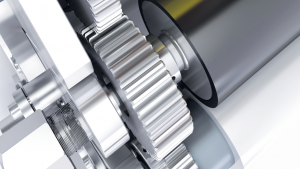 Suitable for a wide range of finishing applications, like foil or lamination. 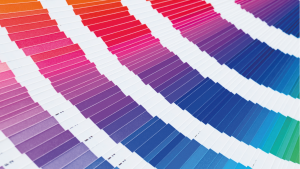 Colours from the PANTONE® Colour Formula Guides and special matches available from Van Son’s Special Colour Service. 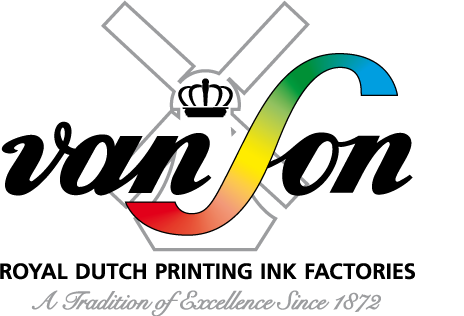 Van Son's Specialty Inks are specially developed for various printing presses and applications, from letterpress to waterless offset, printing on nonporous substrates and more. Special pressroom conditions, uniques substrates or other unusual challenges may require the addition of drying aids or other additives to the ink. 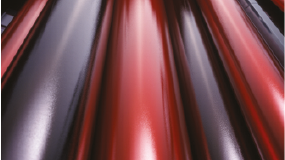 Drierpaste B is a powerfull, cobalt-based, surface drier, which reduces the drying time of the ink. Multidrier developes oxygen using the emulsified water available in the printed ink film. If other drying agents are present, the drying of the entire ink film will be accelerated. If no drying agents are present in the ink, use in combination with 2% Drierpaste B. Addition: 2% - 3%. Make sure Multidrier is mixed with the ink thoroughly! Sonotack reduces picking and tack of the ink, especially when printing on paper with a fibrous surface or a low grammage. 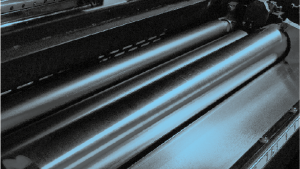 Sonorub increases the abrasion resistance of the printed matter. The use of Sonorub is not recommended if the printed matter has to be varnished or laminated later on. After Sonoskin has been sprayed on to the ink to be preserved, it forms an air-tight film. This prevents oxygen being absorbed by the ink and prevents skinning and drying. 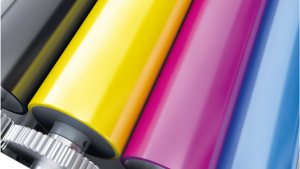 When starting up, it is recommended that more run-in sheets are used than usual, otherwise the non-drying properties of the treated ink will manifest themselves in the printed matter. Instructions for use: Spray on lightly. Morbi dui dui, ultrices eu dignissim nec, porta in odio. Sed eu augue non libero maximus finibus. Suspendisse vel auctor quam, eu varius tortor. Phasellus fringilla, felis eu elementum rhoncus, tortor est ultrices libero, a efficitur erat diam sit amet lacus. Duis et ex vehicula, gravida elit non, posuere dolor. Praesent magna arcu, rutrum eu dui sed, ultricies venenatis purus. Aliquam et efficitur est. Suspendisse nisi dolor, aliquam sed est vel, ullamcorper finibus mauris.